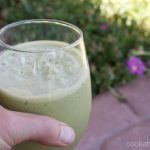 This iced matcha latte is a refreshing drink for those hot summer days – full of good nutrients to keep you going! By now you’ve probably realized that I’ve hopped on the matcha bandwagon in a big way. I mean, look at my matcha latte, my chocolate matcha slice and my matcha chocolate turmeric cups that I’ve published in recent months. 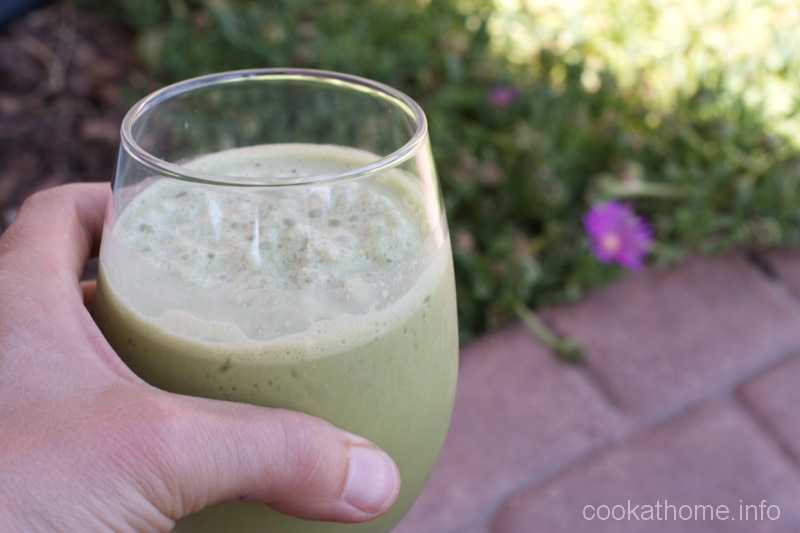 But let me bring this iced matcha latte to you, because it’s just a little bit different. This came about when I was looking for something to eat or drink mid-afternoon. You know, when those munchies attack you? But I wanted to stay away from anything sugary, knowing that it would lead to wanting to eat copious amounts of cookie dough, or ice cream, or something else. And I’ve realized that any drinks I have should contain both protein and fat to make me feel satiated. And this iced matcha latte has all of the above. Simply almond milk and matcha (obviously), but with the addition of some collagen peptides (for protein) and almond butter (for good fats). I’ve tried this with coconut butter, with tahini and even with an avocado and they all taste good. But my favorite is with the almond butter. Add some ice. Blend away and you’re good to go. 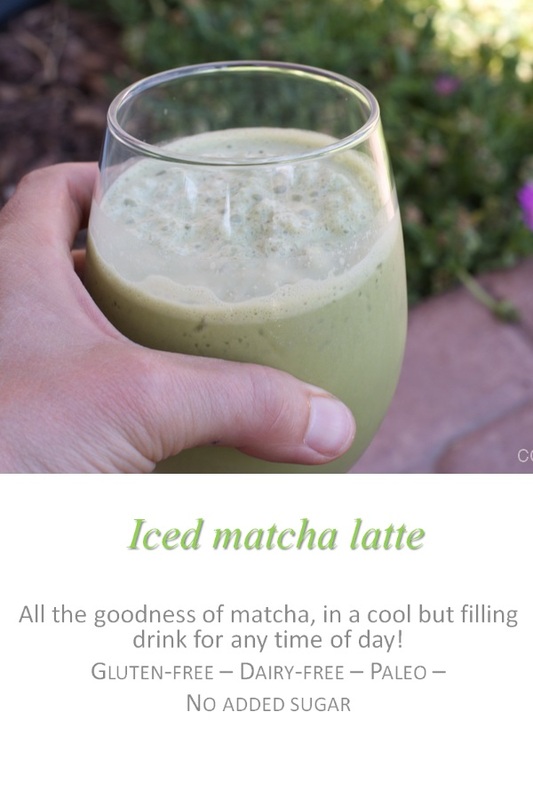 So give this iced matcha latte a go and let me know what you think! Blend all ingredients except the ice to combine well. Add the ice and blend until desired consistency is achieved. 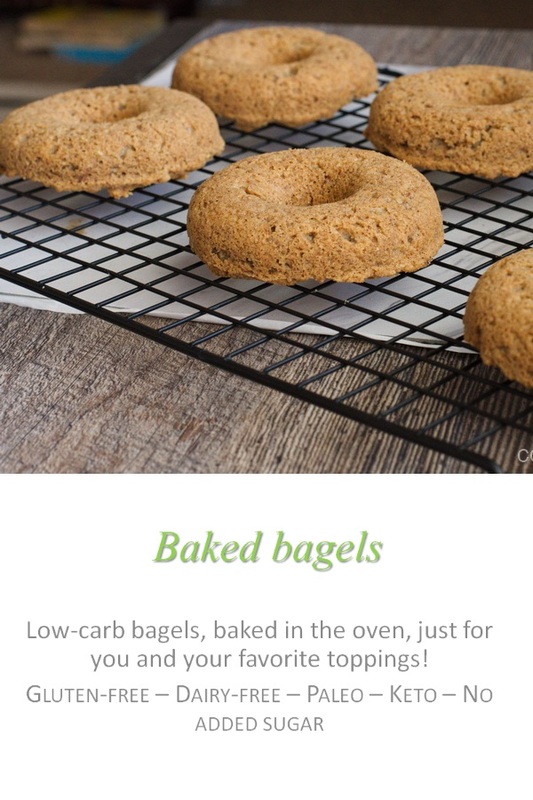 Bagels, baked in the oven, low-carb and dairy-free. Totally awesome for any toppings you desire! I’m gradually going through all the typical bread-y type things and converting them into things that my special snowflake stomach can deal with, such as bread, pizza crust and English muffins. Well, now my friends, let me introduce you to some bagels. Baked in the oven, rather than fried. 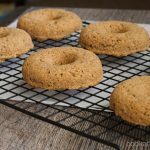 And with no added sugar at all, these low carb bagels are perfect for most special diets, including the ketogenic diet that I experimented with making cookies for recently! 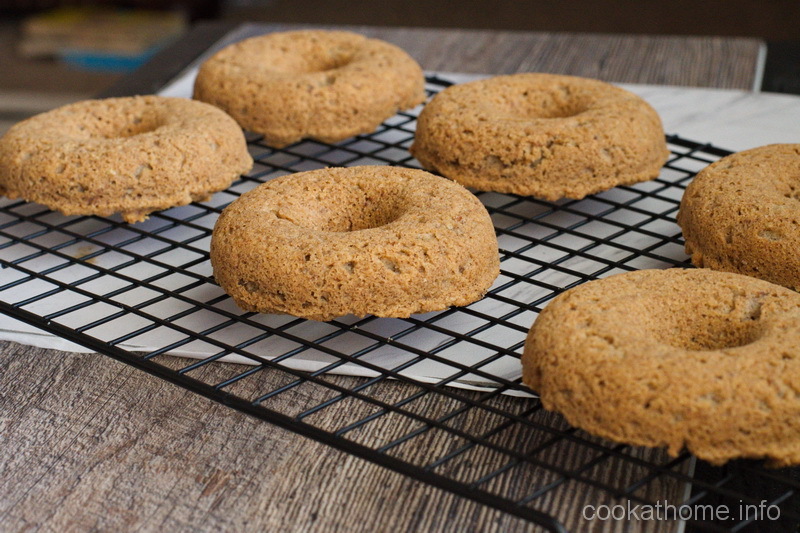 The recipe for these bagels originally came from another site at My PCOS kitchen and it seemed like these were one of the only keto bagel recipes that didn’t include some sort of dairy ingredients, so I leaped at the opportunity to give them a go. Following the recipe (mostly) came up with some really nice savory bagels, due to some onion and garlic powder I added in there. And then I wanted to experiment a little more. So I took out all the savory bits and just left them as is. And also tried some with adding some cinnamon and raisins in there – also without any additional sugar – but I liked them too! So this recipe is pretty forgiving in terms of ingredients. Now, in terms of shaping – well, you can try to shape them by hand (which I did on the first go around), or you can use a donut-shaped pan (like I did for the photo). The donut pan gives more, smaller bagels, while the free-form ones are as big as you want them to be. Just a tip for the unwary – if you want to cut them in half, make sure you shape them taller, rather than wider. But please feel free to give these baked bagels a go – I love them and hope you do too! Preheat oven to 375F and prepare donut pan with cooking spray or baking sheet with parchment paper. Combine the wet ingredients in a small bowl with a whisk and set aside for a few moments. Combine the dry ingredients in a medium bowl with a whisk. Pour the wet ingredients into the dry ingredients and mix until combined. Add 5 tbs of boiling water to the thick batter and continue mixing until completely combined. Divide mixture into 8 equal balls and either roll out by hand into logs, joining the ends to make a circle, or fill into donut pan. Place the trays into the oven and bake for 23 minutes or until golden brown. Allow to cool slightly prior to removing from pan. Bagels keep well in the fridge, or freezer for up to 7 days. 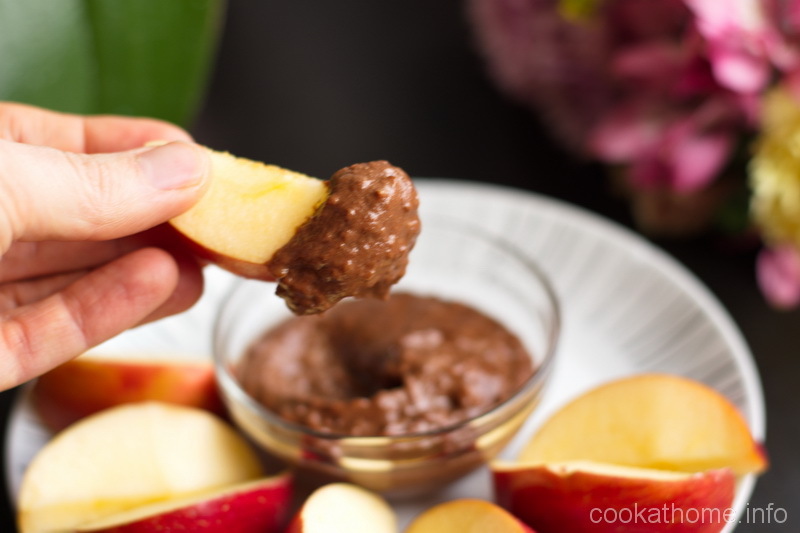 Ever wanted to dip fruit into chocolate – and be healthy? 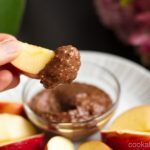 Then this healthy chocolate dip (with a sneaky vegetable) is for you! Here’s another recipe that you may wonder what I was one when I dreamed it up. But trust me, it works. Totally. With so many different options. Think about it – Healthy. Chocolate. Dip. With a vegetable in there too. Oh, did I say that out loud? Don’t let your kids know, that this rich, chocolate-y dip is actually healthy. With no added sugar AT ALL. It’s gluten free. It’s dairy free. It’s Paleo. It’s vegan. It could be nut free (if you use coconut milk instead of the almond milk). It ticks all the boxes (for me, anyway!). I’ve eaten this with apples. I’ve eaten this with strawberries. I’ve eaten this with kiwi fruit. (I’m starting to sound like a Dr Seuss book here, aren’t I?). And I’ve also used it as a spread on waffles, bread and English muffins. It’s so versatile – but it is sweet, so I probably wouldn’t look at using it with any savory dishes. But if you like the sweet and savory combo, give it a go and let me know what you think! Or, if you’re more like me, just eat this by the spoonful! Process all ingredients together in a high speed food processor until smooth. You may need to add some more almond milk, depending on the texture you desire. 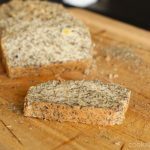 This Paleo herb bread is a perfect side for any meal – so good to mop up those extra juicy sauces! By now you may have guessed that I really, really like recreating bread-type things for my special snowflake stomach. 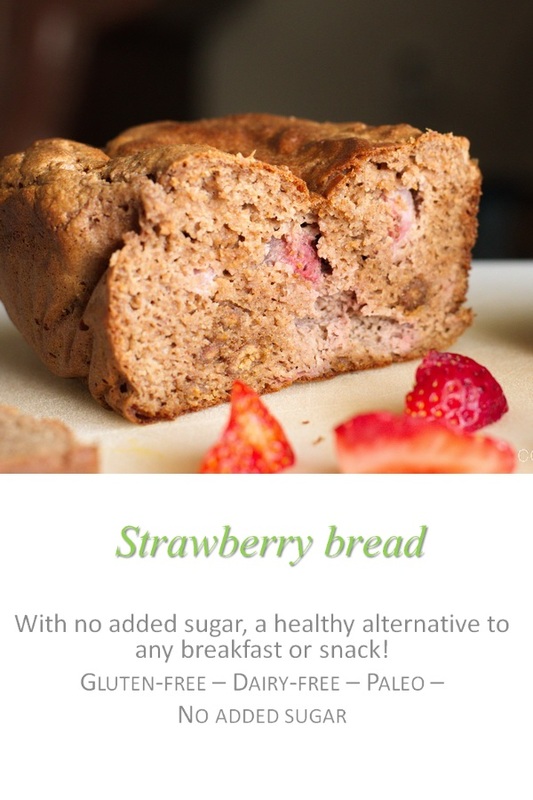 Check out these recipes for Paleo bread, English muffins, and pizza crusts, all grain-free, gluten-free and dairy-free, with minimal to no sugar. But you know when you have an awesome soup, or casserole, and you’ve got all that yummy sauce at the bottom of your plate? And all you want to do is get a chunky piece of bread to mop it up? 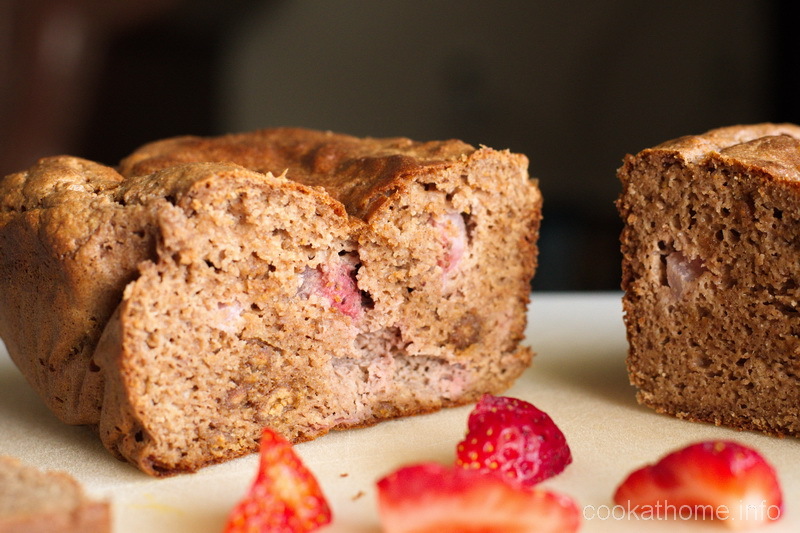 Well, this Paleo herb bread recipe has you covered. 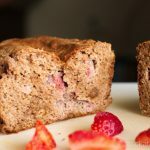 I found this recipe through one of the awesome bloggers I follow on Instagram – Charlotte at Press-start Nutrition has some amazing recipes and ideas across the board, so you should go and check her out, after making this recipe though! This recipe is adapted from her magic bread which I have to admit I made first and loved. But then I thought to myself, with some gentle promptings from Grant, that I really should look at having a more garlic/herb bread recipe on this website as well. 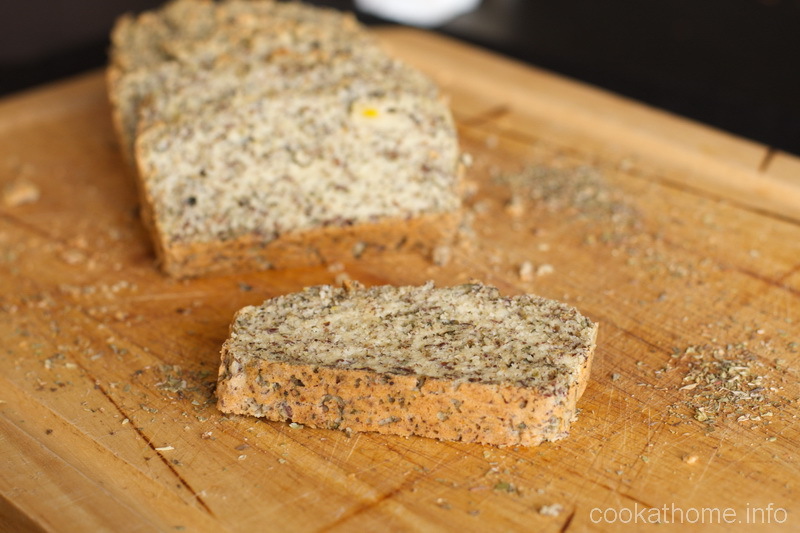 So I made this herb bread and I loved it. Originally it was going to be called a garlic and herb bread, but you don’t really get the garlic flavor coming through to my satisfaction. It could be because I’m not that great at crushing garlic cloves into finer portions (because I always get chunky garlic through this bread) so you can either leave it out, or maybe actually buy minced garlic. Or be so much better at crushing garlic than I am! Whatever you call this bread, enjoy it as a side dish, with a dollop of ghee on top. I even tried it with some nut butter … but I probably wouldn’t recommend that option! Just try it and let me know what you think in the comments below! Preheat oven to 350F and prepare a 8x5" loaf pan with parchment paper. Combine all ingredients together until a dough forms. Spoon the dough into the prepared loaf pan and smooth surface. Bake for 35 minutes or until the top feels firm and a toothpick comes out clean.